At the end of the 17th century migration started among a population that was hit by a double thirst: the thirst to discover new worlds beyond the closed horizons of the islands, and the thirst to give wings to their freedom and cut the bonds of a long period of servitude. The numbers of the Cape Verdean diaspora are not rigorous all the more so because there is a high proportion of descendents of emigrants that are already integrated to the host societies in the oldest communities, and also because there are many cases of dual nationality. Some believe that the Cape Verdean population outside the country is almost double that of the resident community.The known statistics indicate more modest numbers but these still confirm that the community living outside the country is larger. The flow of migration started in Brava at the end of the 17th century with the appearance of American whalers who required provisions and maintenance on one hand but also manpower. Local labour was soon recognised to be cheap and very hard workring for the hard tasks of whaling, and emigration increased so much that saddenly there was a significant community of Cape Verdeans in Massachusetts (Boston, New Bedford), nicknamed the "Bravas”. The island of S. Nicolau also followed into whaling, as did Fogo. There are currently over 250,000 Cape Verdeans in the United States. Many contracted workers went to S. Tomé fleeing the famines that devastated the islands of the archipelago in the 19th and 20th centuries. It happened to be the poorest community that emigrated from Cape Verde once the lands where they worked were largely degraded and abandoned although natural conditions for agriculture are excellent. The number is calculated at around 20,000. Portugal is the oldest destination for the diaspora, and the second most significant with 140,000 people. Senegal (principally Dakar) is home to aver 20,000. Holland was a significant destination for emigration in the mid-20th century particularly from S.Vicente, once more due to the passage al merchant ships. Around 40,000 Cape Verdeans currently live there. In France there is a significant community of around 20,000 immigrants. ln Brazil there is a community of around 20,000 people from Cape Verde, mostly university students. Angola is currently home to around 40,000. Italy is one of the most recent destinations for emigration, with around 70,000 people. The Cape Verdean diaspora, which also includes smaller numbers in many other countries such as Luxembourg, Switzerland and Spain, is a very acute subject for positive and negative reasons. On the positive side, they have a presence in prestigious sectors of host societies from business and politics to knowledge and the liberal professions, and they make a financial contribution to the progress in the country through direct investment , through money transfers and even through contributions of knowledge. However there are also thornier topics, such as the people of Cape Verdean descent, who were deported to Cape Verde due to persistent criminality in their host countries or for drug trafficking, who took advantage of the great increase in air traffic to the archipelago and the expansion of the country’s seafront. A progressive reduction of the flow of emigration from Cape Verde is now being witnessed, partly due to the restrictions imposed by the traditional host countries which face an increase in unemployment rates. However this reduction is also due to Cape Verde’s rise to the status of a semi-developed country, which has made it more attractive not just to its natives, but even to foreigners – particularly from the countries of the western African coast – who see the opportunity to improve their lives there. "Crioulidade’” (Creole identity) is a new concept generated in Cape Verde, and exported from there to Brazil and the Caribbean, and it systems from two cultural farces that emerged from the Carribeans in which the country was populated and developed its own identity; racial mixing and a new common language for all the Capo Verdeans – Creole. Creole emerged right at the start, during the first years of population transfer at the end of the 15th century due to the urgent need of understanding between the slaves, who came from numerous tribes from Guinea, and the European settlers, who come principally from Portugal. Naturally Portuguese, known as “reinol" or the language of the kingdom, was the basic material for constructing this language, which was surprisingly simple and clear based as it was at the foundation of the day-to-day contact between all the participants in the process, which started with a classic pidgin for communication in trade, then evolving into a communication system capable of expressing a rich variety of ideas and feelings, which could generate a linguistic richness of expression, such as the “mornas”. Creole is technically known as a neo-latin language. It can be traced back directly to Portuguese, and there has been interest recently in studies to detect the presence of residues from archaic Portuguese. The fervent desire to establish Creole as the official language gave rise to a “no man’s land” phenomenon in education, meaning that a significant number of pupils were in a critical situation of, on one hand, not learning Portuguese, which had not yet ceased to be the official language in Cape Verde and on the other hand, not being able to express themselves in Creole. This was a situation that deserved immediate attention, as there was a risk of leaving a generation excluded from access to culture. It was necessary to apply the standard in the Cape Verde Constitution, by creating conditions for Creole to also become an official language of the country, on the same level with Portuguese. The only religion permitted in Cape Verde at the start of population was Catholicism, administered by friars, vicars and chaplains of the Order of Christ (by force of the Papal Bull Romanus Pontifex, from Callistus lll), who accompanied the discoverers and settled in the communities that were being created. In the case of Cape Verde, this started in Ribeiro Grande and Alcatraz, on the island of Santiago, although there is reference to Franciscan monks from the Convent of S. Bernardino de Atouguia being brought to Ribeira Grande in 1466. One key point of the food eaten in Cape Verde at the start of its history is that for a long time there were two different diets, not just due to the obvious difference in origin of the settlers (Europeon/African), but through the deep—seated conviction at the time that Europeans could not resist the African diet, and that Africans would not get on well with the Mediterranean diet. While Europeans continued to raly on the trio of bread/wine/oil which arrived regularly from Portugal and Spain, the Africans lived off maize and rice, brought together with the slaves in the monthly delivery of food from the banks of the rivers on the continent. Of course their diets were not limited to these foods, and they were supplemented with abundant production of cattle (cows and goats), legumes and fruits, produced in great abundance on the fertile banks of Ribeira Grande, as well as nuts, cheese and honey that came together with wheat, wine and oil from Portugal. 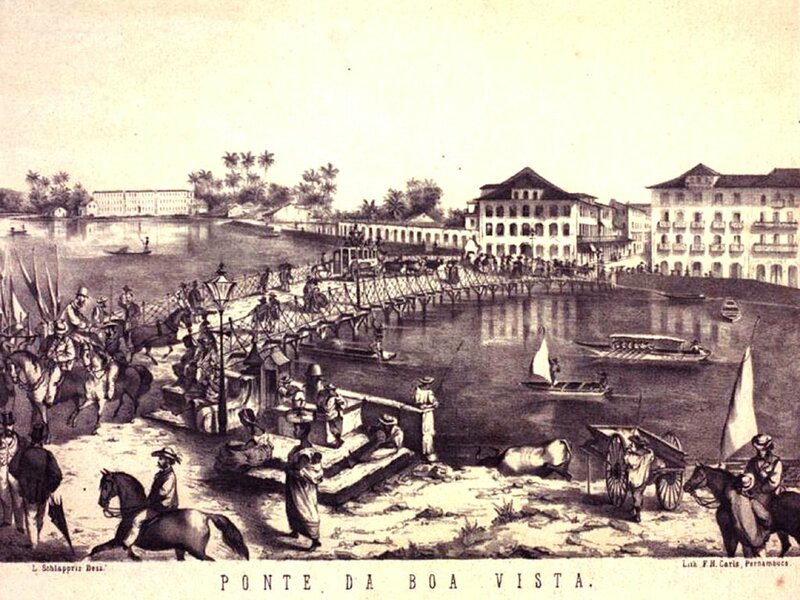 Despite these factors over the centuries the gastronomy of the Cape Verdeans was enriched as they benefited from a varied and increasing range of gains brought from the Orient and Brazil with the numerous ships that came to the port of Ribeira Grande. The diet of Cape Verde became progressively richer and more sophisticated particularly with the inclusion of various spices, the influence of varied Chinese and lndan food.These influences created marinate dishes mixing herbs with legumes meat crustaceans, fish and other seasonings on a table that is now rich, quite varied and always tasty. So some meals are dressed with fruit, Iiqueurs and tea or coffee. The Most Typical Dishes of Cape Verde are: The cachupa, there is also cachupa rica, Modje de kapéde (gelding sauce), Txasina is a name for dried goat meat, Feijéo ervilha (peo beons), Botxada (mode of gelding, mutton or goot tripe), Tuna steak, Caldo de peixe, Lobster with peanuts, Peixe seco, Cuscuz, xerém, Friginato, moreia frita, torresmns, there are delicious desserts in the Cape Verdean tradition. To name just one, you could try the pudim de queijo (cheese pudding). No Cape Verdean meal would be complete without no ponche, a grogue or a liqueur, citrus fruits, mint, coconut...), and it should be rounded off with a café do Fogo. There is a great variety of Cape Verdean cuisine, and this is one of the greatest tourist attractions that the country has to offer. Other dishes include Brinhola, camoca, papa de milho, stewed lapa or polvo, boiled parcebes or cracas, aranha de coco or local cheeses, papaya and guava sweets.